Richard Price's father was Rice Price, a Congregational minister. At quite a young age Richard seems to have adopted somewhat different religious opinions from those of his father, being attracted towards more liberal Christian views. He was educated privately then, after the death of his father in 1739, he entered Fund Academy in Tenter Alley, London, one of the Dissenting academies that had been established independently by Nonconformists. We note that his religious views would have made it impossible for him to attend Oxford or Cambridge university, and the Dissenting academy provided an alternative to a university education for those wishing to study in England but who had views at odds with the standard beliefs of the Church of England. There are in truth none who are possessed of that cool and dispassionate temper, that freedom from all wrong biases, that habit of attention and patience of thought, and, also, that penetration and sagacity of mind, which are the proper securities against error. How much then do modesty and diffidence become us? How ought we to be to conviction, and candid to those of different sentiments? I now send you an essay which I have found among the papers of our deceased friend Mr Bayes, and which, in my opinion, has great merit, and well deserves to be preserved. Some of the calculations, particularly in the appendix, no one can make without a good deal of labour. I have taken so much care about them, that I believe there can be no material error in any of them; but should there be any such errors, I am the only person who ought to be considered as answerable for them. If an event has happened n times, there will be an odds of 2n+1 - 1 to one, for more than an equal chance that it will on further trials. This is not Laplace's rule of succession, but rather a calculation of the posterior probability that the unknown chance x of the event exceeds 1/2, based on Bayes's assumption that all values of x are a priori equally likely. ... increasing involvement in insurance, demography, and financial and political reform. It was in 1769, in a letter to Benjamin Franklin, that Price commented on the expectation of lives, the increase of mankind, and the population of London. His observations were published in the Philosophical Transactions of the Royal Society later the same year. In May 1770 Price wrote to the Royal Society explaining how to calculate the values of contingent reversions. Price seemed to be well aware that the recently established insurance and benefit societies were basing the calculations of their policies on erroneous theory. ... for the attention [he] has given to the work, and for the many important services [he has] rendered me with respect to it. In fact Joseph Priestley, the discoverer of oxygen, was a friend of Price. They were both ordained to the Dissenting ministry and Priestley frequently visited Price in Newington Green. Other friends who visited Newington Green included John Howard, John Quincy Adams, Benjamin Franklin and Adam Smith. in 1776 Price published a pamphlet Observations on Civil Liberty and the War with America. It is said that the Declaration of Independence of the Thirteen Colonies made on 4 July 1776 was influenced by Price's pamphlet. A second pamphlet in the spring of 1777 again discussed the war with America but also discussed national debts and other financial matters. In the winter of 1778 he was invited by Congress to go to America to assist in financial administration but he declined. On the forenoon of the 4th of November , Doctor Richard Price, a non-conforming minister of eminence, preached at the dissenting meeting-house of the Old Jewry, to his club or society, a very extraordinary miscellaneous sermon, in which there are some good moral and religious sentiments, and not ill expressed, mixed up in a sort of porridge of various political opinions and reflections; but the Revolution in France is the grand ingredient in the cauldron. Since the former editions of the following discourse, many animadversions upon it have been published. Under the abuse with which some of them are accompanied, I have been comforted by finding myself joined to the City of Paris, and the National Assembly of France. I cannot think of employing my time in making any replies. Knowing that it has been the labour of my life to promote those interests of liberty, peace, and virtue, which I reckon the best interests of mankind, and believing that I have not laboured quite in vain, I feel a satisfaction that no opposition can take from me, and shall submit myself in silence to the judgment of the public without taking any other notice of the abuse I have met with than by mentioning the following instance of it. The Unitarian Society was established in 1791, shortly before Price's death, and he became a founder member. Price was buried in Bunhill Fields on 26 April 1791 and at the service Joseph Priestley gave the funeral sermon. Bunhill Fields was a dissenters' cemetery for those whose beliefs took them outside the Church of England. 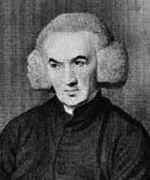 Price was famous in his day, although his views were highly controversial, and many came to hear him preach. He received the freedom of the City of London and was honoured with the award of the degree of D.D. from Yale College.